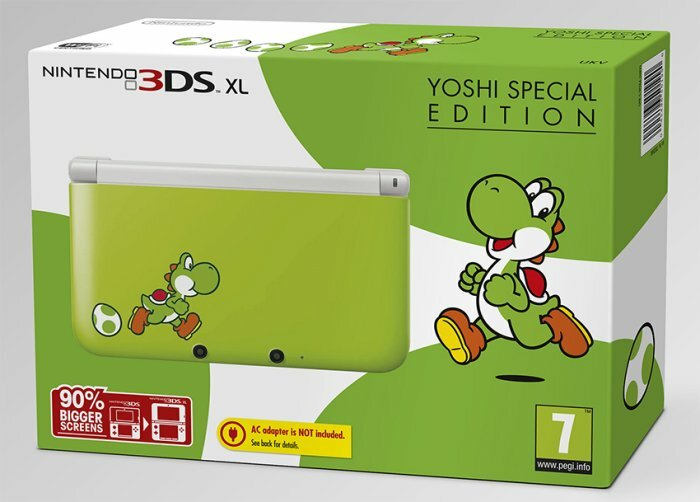 Last month there was talk of a specially themed Nintendo 3DS console that would feature a Yoshi theme on its cover. At that time the console was announced for gamers in Europe, but we have some good news for North Americans now. It looks like it could be arriving in North America at about the same time. Listings were spotted by retailers like KMart and Toys “R” Us in their advertisements. Now for the bad news. Both listings have the console retailing for $199.99, but sadly it does not look like it will not come with Yoshi’s New Island preinstalled. That’s a real bummer for Yoshi fans who wanted to get both in one package. You will have to get the game separately when it is released on March 14th. Nintendo wants to make money after all. So you will just have to buy them separately. Nintendo of America has not yet officially confirmed this news, but these retailers are certainly ready to move the units, hence the advertisements. I wonder if this will be as popular as Nintendo hopes. I think most people want to buy them together.